Most of the news I post on this blog is piddly, minor stuff about academic happenings. Today’s announcement is bigger, because it not only impacts my research and career but also my family. I am thrilled to announce that I will be joining James Madison University’s (JMU) Department of Integrated Science and Technology (ISAT) in Fall 2014. I have signed a tentative agreement; all that is left to do is sign several boilerplate legal forms. Though I will miss my students and friends here at UWL, the research and teaching opportunities at JMU truly excite me! The ISAT Department is absolutely stellar, and I cannot wait to start collaborating with my new colleagues there. Birgit and the girls are also excited for other reasons. 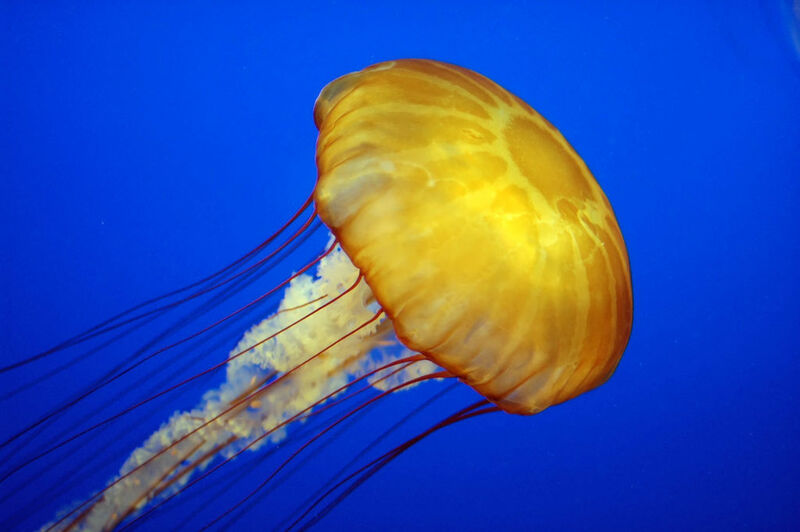 My four-year old, Svenja, for example, is okay with the move because we will be closer to jellyfishes. Whatever makes her happy, I guess! Unfortunately, I will have to paint my house before we put it on the market. Painting eats into research time, so the Persuasive Geocommunication book project will be delayed. I have already worked out an extension with my editor. The book is still coming, but it will not be submitted at the end of August as originally planned. More news on that project as it develops. Now it is time to start weeding things out and thinking about packing!! !